I came out of the water from surfing the other day frustrated. I’m still having trouble popping up on the board to my feet quick enough so I wipeout a lot. Wipeouts are not as fun as catching and riding waves. Disappointment settled in on me because I wasn’t performing like I wanted to that day. Then words from a surfer friend of mine I’ve known for years came into my head: “But did you have fun?” Well…. No, I didn’t! I was so irritated and bummed with myself I’d left no room for fun and enjoyment. (Kinda the purpose of surfing.) Instead I had put all these demands on myself to perform, to get things right, to excel and achieve! I had forgotten all about the “having fun” part. 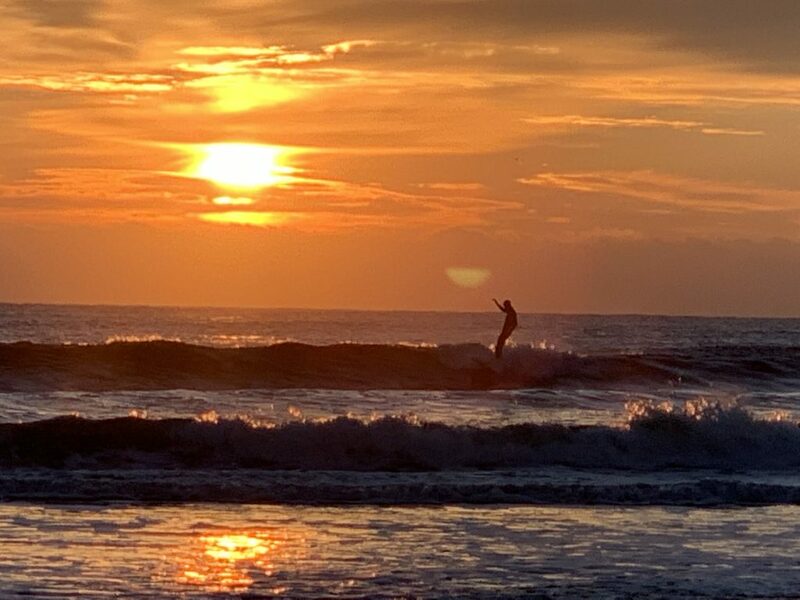 I find myself demanding a lot from me quite often without recognizing it: “I should have taken the other way home.” “I should have given myself more time.” “I ought to have worked on this harder.” That day surfing I thought I should have popped up better, I’d been practicing. I should have caught the waves at the right time better. I should have done everything a lot better than I did, but I didn’t. So as I began seeing these hidden expectations I put on myself, He told me to let go of them. Just drop them. He loves me no matter what. Subconsciously I’m trying to be good enough to deserve to be loved. Even for myself to love me. But I don’t have to be perfect — I’m loved anyway. Father God encouraged me to stop putting expectations on myself. Stop putting all this pressure on myself to do everything right the first time. Allow myself a growing/falling/growing curve. Cut myself a break, alright?! Oh, and He reminded me that this goes for others too. Yep. Spouse, family, friends, pastor/church, strangers, slow drivers — cut them some slack too. No one’s got it all together, but everyone needs to be loved. Hebrews 12:14 exhorts us to do all we can to live in peace with everyone as much as we can. This includes ourselves. We don’t need the high blood pressure and anxiety that comes with expecting from ourselves some higher-than-average performance. Yes, we are to work hard and do our best at things, however, there’s also a time to relax and have some fun — without judgment! So the next time I loaded up my surfboard and headed for the beach, I took a deep breath and sighed. Then I told myself to just have fun. It’s even okay if I wipeout every single time. No demands, no performance ratings. Enjoy the time in His love. It was the best day of surfing I have ever had.